You are here: Home » Church » Does God Have An Emergency Preparedness Plan? Today, a strange paradox exits. What looks like the fulfillment of prophecy is everywhere; unrest in the Middle East, the rise of a European Superstate, the alignment of Gog and Magog, forming of a national ID and gateways through biotechnology that could unleash upon earth pestilence of biblical proportions. People from all three of the world’s great religions see these developments as potential omens of an ‘End Times’ scenario leading to the Apocalypse. Yet many believers in God, especially in America, are indifferent to the need to prepare for the unexpected. An article by Mimi Hall in USA TODAY this week said, "Most Americans haven't taken steps to prepare for a natural disaster, terrorist attack or other emergency, according to a new study on preparedness and only about a third have made plans with family members about how they would communicate with each other during a crisis." Another disarming reason I witnessed during my 25 years of pastoring for why people of faith neglect preparedness has to do with an odd defeatism that says, "If current events are prophesied to happen, then there’s nothing we can do about it anyway." While having to try to endure radioactive fallout is a growing possibility, the fact is that most people are more likely to face disaster as a result of things like nature. A few weeks ago a journalist became lost in a snowstorm in Oregon and died from the exposure to freezing temperatures. If his car had been equipped with a survival kit, he would have had an excellent chance of survival. Many of the items vital for a good survival kit can be found at your local shopping center: an inexpensive poncho, a basic first aid assortment, nylon cord, canvas for temporary shelter, duck tape, a whistle. Other items are a bit trickier to find and may need to be acquired from one of many online emergency preparedness companies. These include five-year-shelf-life food bars, five-year-shelf-life water boxes or pouches, paper-thin thermal blankets designed by NASA to retain body heat, special hand-crank combination flashlights with radios and emergency signals built in, and so on. My personal favorite is the "Transformer 4 in 1 Radio Flashlight," which requires no maintenance, no batteries, no bulb replacements, and can even power your cell phone. Within "faith communities," part of the problem goes back to western dispensational fatalism that fails to see God’s instructions about the future and the responsibility He gives concerning preparation. Church authorities may speak of the hidden shelter that God provides His followers during a storm, yet often fail to see the believer’s responsibility cast throughout the Bible where we are to care for our families and communities by readying for the unknown. Some teachers also erroneously believe that emergency preparedness reflects a lack of faith in God. The opposite is true. The Book of James measures faith by personal action, and Hebrews 11:7 describes true faith this way: "By faith Noah, being warned of God of things not seen as yet, moved with fear and prepared an ark to the saving of his house." God told Noah that He would destroy the earth by a flood. He gave Noah instructions on how to be prepared so that he and his family could survive. Noah didn’t know when the flood would come, only that it was prophesied, and he prepared for it. When the Flood arrived, he was ready. His faith in and obedience to God’s word, his survival instincts, and ultimately his preparedness actions saved his family and preserved the human race. 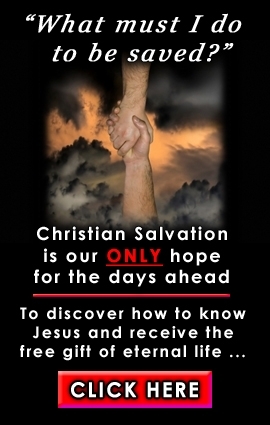 Spiritual leaders can download these booklets and reports, print them out and place them on a table in a church foyer, hand them to neighbors, give them out during classes, or better yet teach a class on preparedness and tie it in with the mandates of Scripture. If nothing else, everybody can forward this article to the people they know with a recommendation that they do what is right to protect themselves as well as those God has placed under their care. As a veteran of more than 30 years of church ministry, I call on pastors and other religious leaders to stand at the forefront of this issue and to make disaster preparedness some part of their ministry. This doesn’t need to define what you or your fellowship is about, but this can and must be part of the wise counsel you offer those you have responsibility for. You could literally save a believer’s life! Over the last decade, he has authored three books, wrote dozens of published editorials, and had several feature magazine articles. In addition to past articles at NewsWithViews.com , his works have been referred to by writers of the LA Times Syndicate, MSNBC, Christianity Today, Coast to Coast, World Net Daily, White House Correspondents and dozens of newsmagazines and press agencies around the globe. Tom's latest book is "The Ahriman Gate," which fictionalizes the use of biotechnology to resurrect Biblical Nephilim. Thomas is also a well known radio personality who has guest-hosted and appeared on dozens of radio and television shows over the last 30 years, including "The 700 Club" and "Coast to Coast AM." When looking for a spokesperson to promote their film "Deceived" staring Louis Gossett Jr. and Judd Nelson, "Cloud 10 Pictures" selected Thomas as their spokesperson to explain the Christian viewpoint on UFO-related demonology.